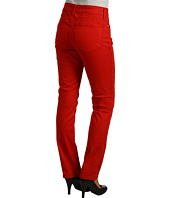 Designer Jeans Up To 80% Off ~ Not Your Daughter, Calvin Klein, Jag, CJ & More! Designer jeans are expensive!!! If you (or your teen) love to wear top dollar designer jeans, this post is for you! I’m seriously considering getting the red Not Your Daughter Jeans pictured above – because they are so cute AND they are selling for ONLY $34!! Head to 6pm and check out all the other Designer Jeans For 80% Off you can find!